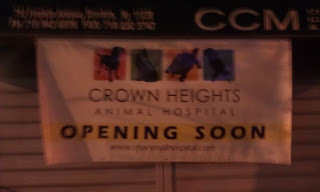 The Crown Heights Animal Hospital at 753 Franklin (a branch of the Prospect Heights Animal Hospital on Flatbush) is aiming to open this Monday, March 4, according to some folks inside the store earlier this week. 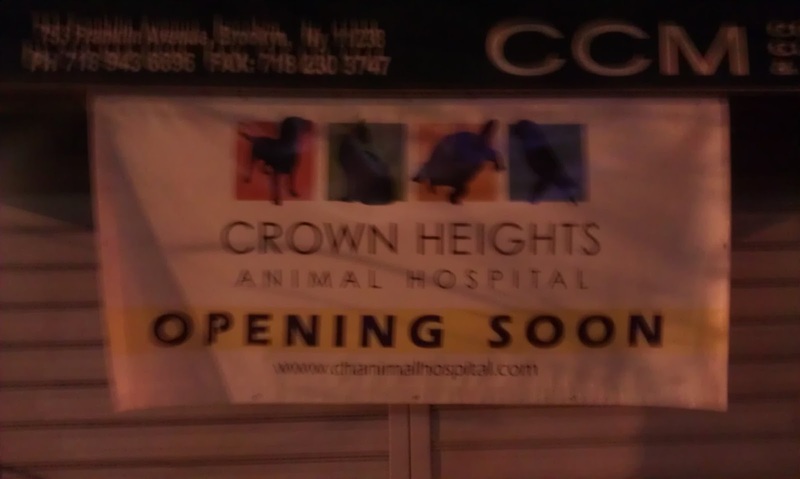 They'll be happy to serve all your beloved mammalian friends, as well as exotic pets of all species. In other new business news, one announcement at the last CHCA was that we will soon have another coffee shop on the Avenue, this one at St. Marks and Franklin. The owners seem like very nice folks, and weathered the audible groans at the announcement of another coffee shop with aplomb. 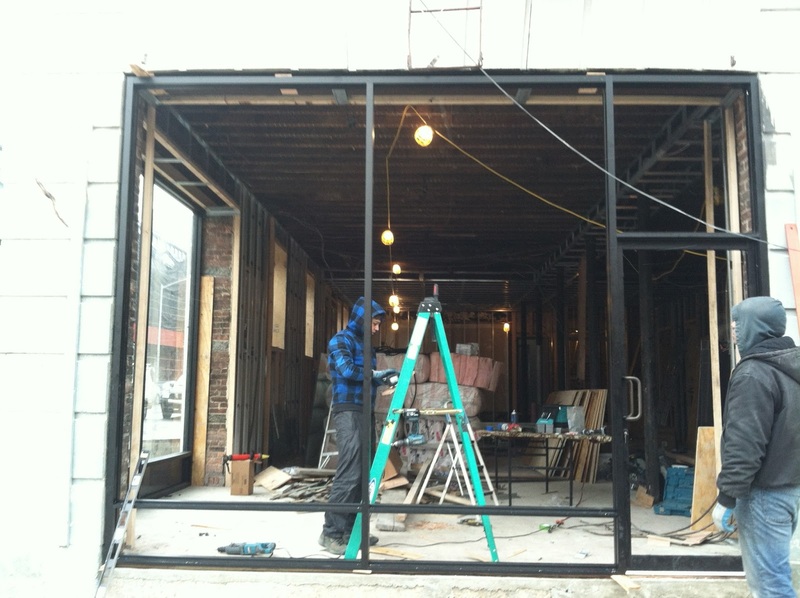 No word on the exact location or planned opening date. Finally, with respect to the CHCA Town Hall Meeting, ILFA can confirm that the Saturday, March 23 event will be the first of a few meetings, and that following meetings will take place on other days so as to accommodate those who can't attend on Saturday. Come out of the cold and enjoy the sweet riffs and melodic chips of some of chipmusic's coolest rockers at this month's Pulsewave. Pulsewave is the US's longest running show dedicated to exploring the sights and sounds of vintage game consoles and computers. Animal Style is an audio visual chip music project by Joey Mariano started around 2001. Sadnes is an exploration of self and a coming to terms with prior occurences. A blissful mixture of 90's grunge backed by a Nintendo Entertainment System. His sound will make you wish ripped jeans and messy hair were back in style. It’s time to hate your parents. Your life will be greatly enhanced once you attend a Danimal Cannon show. He's like a government stimulus check that gives you ice cream sandwiches made out of guitar solos. Can you really afford to pass that up? Didn't think so. We will be having an open mic this month! Come show us what you've made/written! Every open mic spot has a 5 minute limit, which includes set-up and tear-down. Open mic sign-ups are first-come, first-serve so get there at door time if you want a spot. Don't be shy, come out and play! What does Black History mean to you? 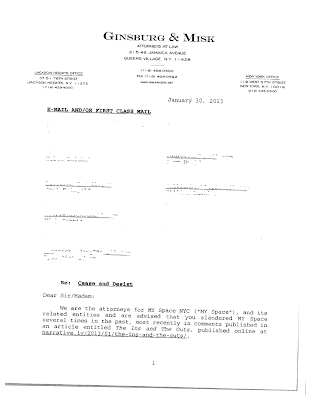 Did you become a writer many Februaries ago as a third grader doing a report on Lorraine Hansberry? 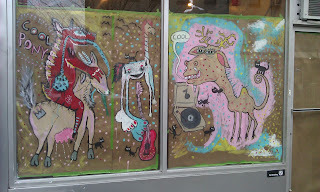 Or a painter after you first saw the work of Jean-Michel Basquiat? Or does Black History start closer to home with your own family and friends? LaunchPad wants to know your history! Join us on Saturday, February 23 from 2pm-5pm and tell us what Black History means to you. 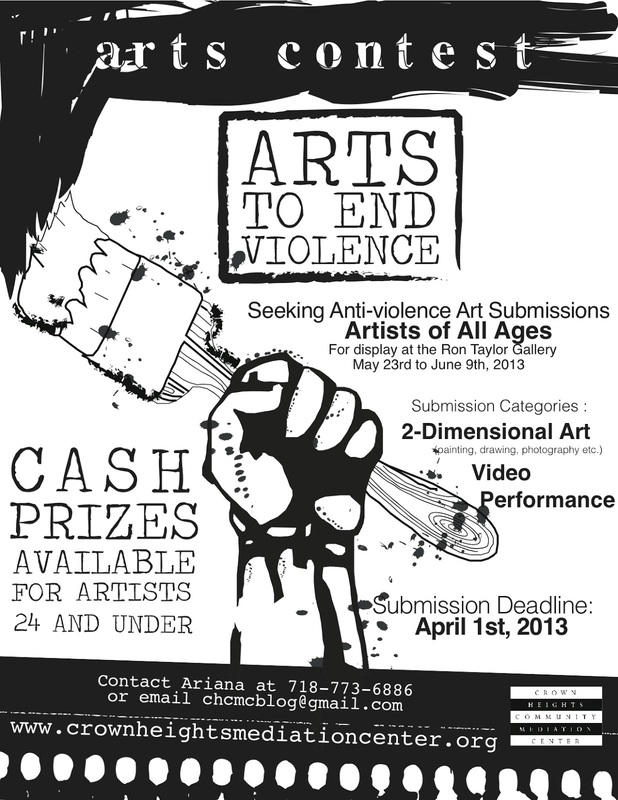 Show us your art, play us your song, read us your story, read someone else’s, anything goes. Email launchpadbhm@gmail.com to tell us if and how you’d like to participate. Share your history! 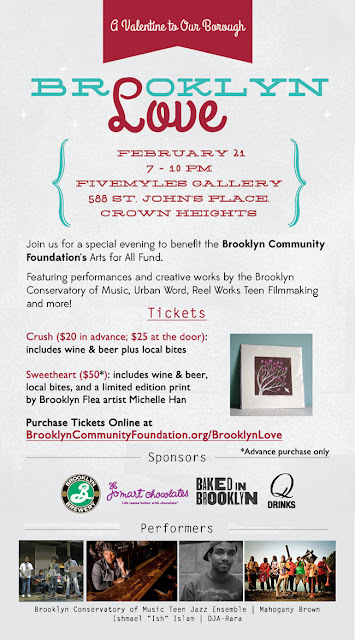 Five Myles (St. John's between Franklin and Classon) hosts Brooklyn Love tonight, an evening of music and food to benefit the Brooklyn Community Foundation. If you're not familiar with BCF, check out their annual report to see how they allocated over three million dollars worth of grants in the borough of Kings last year. 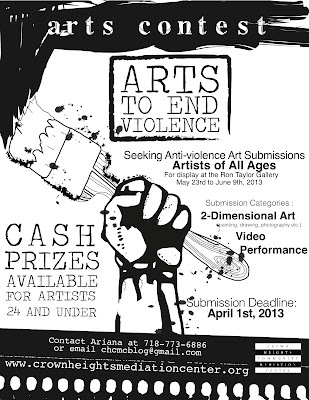 The fun starts at 7pm, and includes food, drink, and live performances. 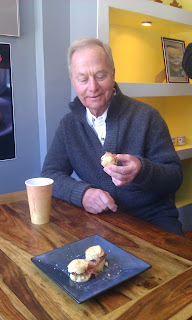 Top: Niman Ranch Pork Company Founder Paul Willis enjoys his pepper bacon on a TasteBuds biscuit. Above: Niman Ranch corned beef with swiss, lettuce, tomato and mustard on a jalapeño biscuit. When TasteBuds opened back in May, ILFA reported on the ways that owners Kevin Philip and Mike Fink were doing things their way, developing a unique place while doing their best to stay competitive in an increasingly crowded food scene in Crown Heights. One of those decisions was the use of Niman Ranch products in their sandwiches, from the bacon on your breakfast biscuit to the corned beef and pastrami in your New York deli classics. Niman, which provides meat to Whole Foods and Chipotle as well as NYC hotspots including Daniel and Saul, might not have been the most obvious choice for a local sandwich shop looking to sell a quick-and-easy lunch in Crown Heights, but in a way, Niman and Tastebuds are a lot alike. Niman's Paul Willis launched the company's pork program to preserve a world and a lifestyle he loved - the old-school farms of Iowa, where pigs actually lived outdoors - and make that world competitive in a modern business environment. The network he's built, which includes nearly 500 farms and ships meat nationwide, offers a viable alternative to the factory-farm model, one that keeps farmers in business. It seems fitting that Tastebuds, whose owners have deep roots in Crown Heights, hire locally, and lead and fund community events (but aren't afraid to change their business models to keep up with the rapid changes in the area) would find a partner in Niman Ranch. Willis paid a visit to Tastebuds this afternoon to see his friends in action (Fink's wife, local filmmaker Jan Weber, has worked with Willis before - see the video below), and DNA Info's Sonja Sharp stopped by to report on the event take some photos (I didn't make the slide show, but my sandwich did, and really, the sandwich looked better). 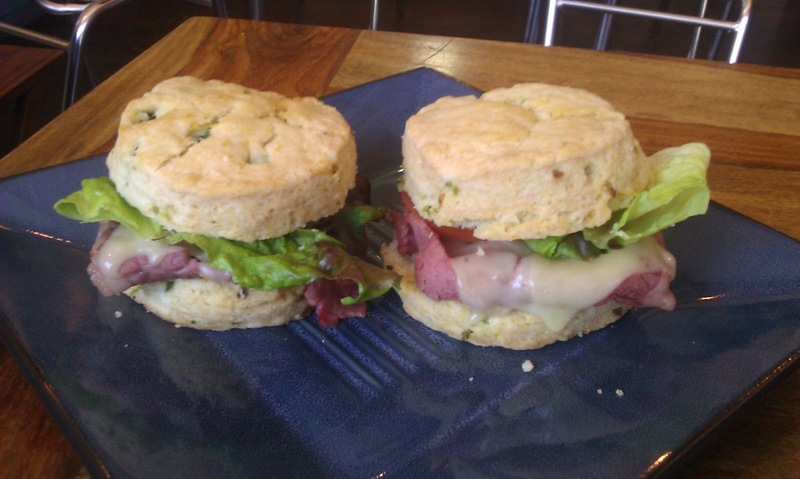 Bacon biscuits and sliced corned beef made the rounds, and Fink and Philip weighed in on their favorite sandwiches (Fink loves the Croque Monseiur, made with Niman ham, while Philip goes for a classic pastrami). 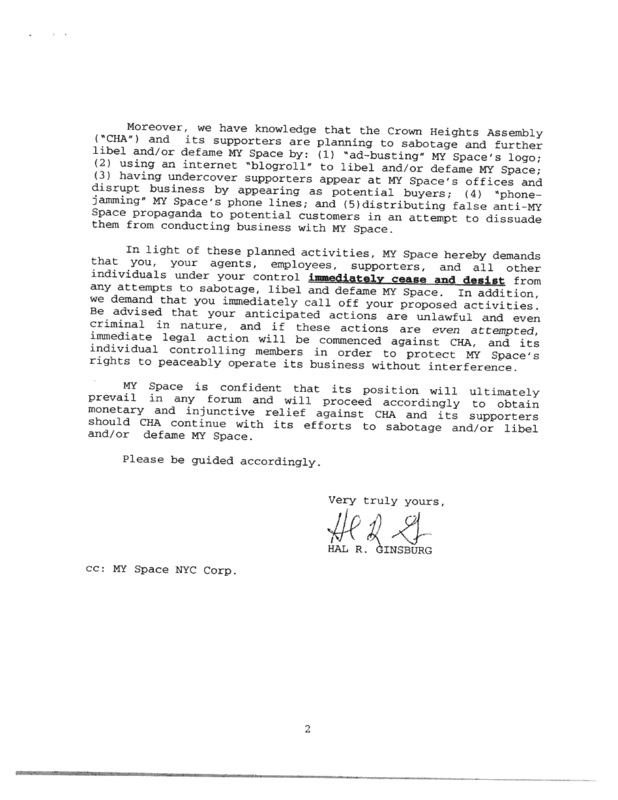 Asked why he'd made the trek to Crown Heights (he was in town speaking at TEDx Manhattan), Willis smiled. "This place, this neighborhood - it's unique for us." Brooklyn Welcomes Niman Farmers from Mike Enright on Vimeo. In preparation for our town hall meeting in March, we've invited individuals that represent different groups in our neighborhood—seniors, merchants, landlords, artists, teachers, social service workers—to talk about what's working in our community and what's not. Come out to listen and gain a different perspective on the opportunities and challenges faced by people in our neighborhood. What do you like about our community? What do you *not* like about our community? 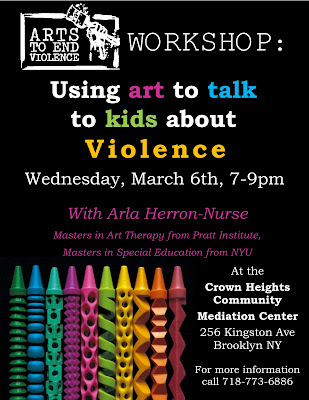 The event takes place on March 23 at the PS 22 campus on Classon and St. Marks. See you there! CHCA is excited to be planning a community-wide Town Hall meeting in March. We see this as an opportunity to talk about the future of our community, and we want everyone’s voice to be heard. 443 St. Marks at Classon Ave.
Download a flier, print it out, and give it to the people in your building, school, place of worship — wherever! We also need help putting together mailings, placing posters to get the word out, and running the event itself — preparing materials, serving food, and providing daycare. 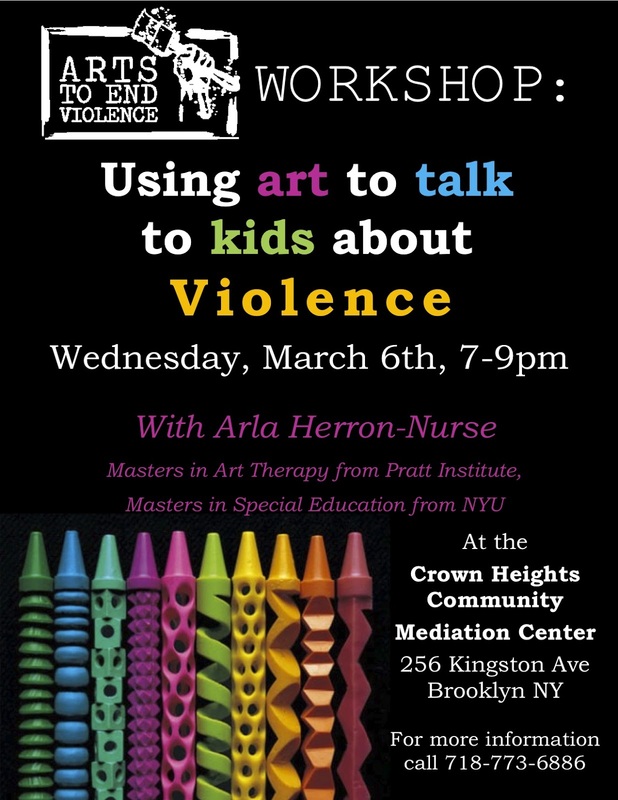 Tell us your vision for Crown Heights by filling out our three-question survey. 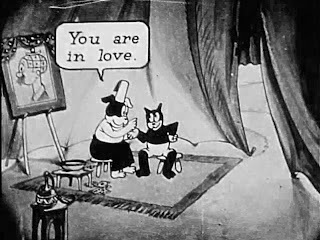 To celebrate the holiday, Tom Stathes digs out some rare, vintage Valentine's cartoons for your enjoyment. We’ll be screening more than an hour’s worth of cool animation from the 1920s through 1940s on actual 16mm film with a projector. nemas in the 1930s, 40s, and 50s. Come be a part of our fun and unique holiday experience, which you're sure to enjoy! 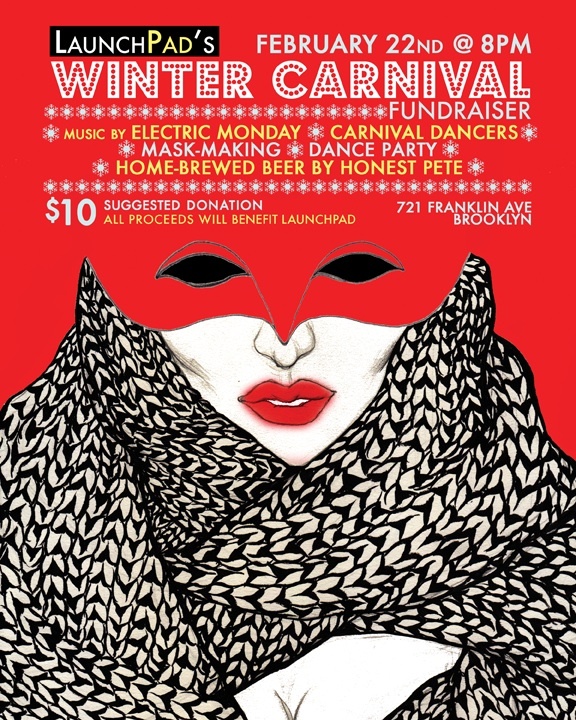 $10 at the door, and a nice 'wintry drink' is included with the price! Doors at 8pm and the cartoons start a little afterward. Earlier arrival is better if you require seating. This Valentine’s Day, give each other a gift that you can continue giving throughout the year. Come experience the pleasures and benefits of giving and receiving Thai Massage, also known as Thai Partner Yoga Bodywork. Learn how to stretch, release tension, and encourage relaxation in your partner and yourself simultaneously! This is a beautiful way to spend a couple of weekend hours and a deeply effective and meaningful way to care for one another. Ophra Wolf, owner of Force and Flow, is a highly regarded Thai Massage practitioner whom has studied both in Thailand and the US and has worked with individuals and couples since 2004. The workshop is limited to four couples per session, with two available sessions, 1PM and 5PM. No experience with Thai Massage or yoga is necessary, but if you have any physical concerns please contact Ophra in advance. You will need comfortable clothes to move in, we will provide the rest. Paul Willis will greet customers of Brooklyn’s hottest sandwich shop, share stories, and some new Niman Ranch products. Everyone is welcome! BROOKLYN, N.Y. February 18, 2013. Dedicated to using only the highest quality ingredients in their signature sandwiches, TasteBuds opened its doors in June of 2012 with an array of Niman Ranch products, including Jamon Royale Applewood Smoked Ham, Applewood Smoked Bacon, and their peerless all-beef Fearless Franks—all becoming instant hits with customers. Behind these excellent products is an excellent farmer who raises hogs to exacting standards of humane, antibiotic-free animal husbandry. Paul Willis developed those standards on his own farm in rural Iowa (where he still raises pigs on pasture today) and with them founded Niman Ranch Pork, a network of small independent family farms raising hogs—sustainably & naturally--under the Niman banner. TasteBuds is honored to have an extraordinary farmer visit our extraordinary Crown Heights neighborhood to host TasteBuds and Niman Ranch President’s Day Tasting Event. Everyone is welcome! 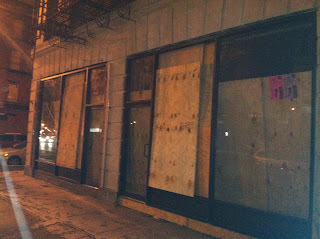 TasteBuds Snadwich Shop is located in Crown Heights, Brooklyn, 736A Franklin Ave. (Between Sterling Pl. 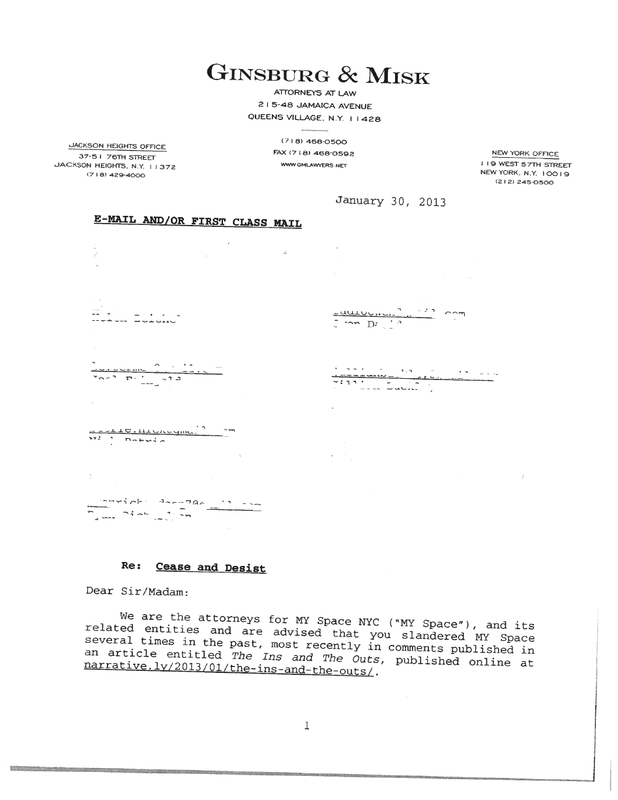 and Park Pl.) Open 7 days a week, 8 am to 5 pm, Monday through Friday; 10 am – 6 pm, Saturday; 11 am – 6 pm Sunday, serving hot homemade biscuits, farm-fresh eggs, sandwiches, sides, and breakfast all day. 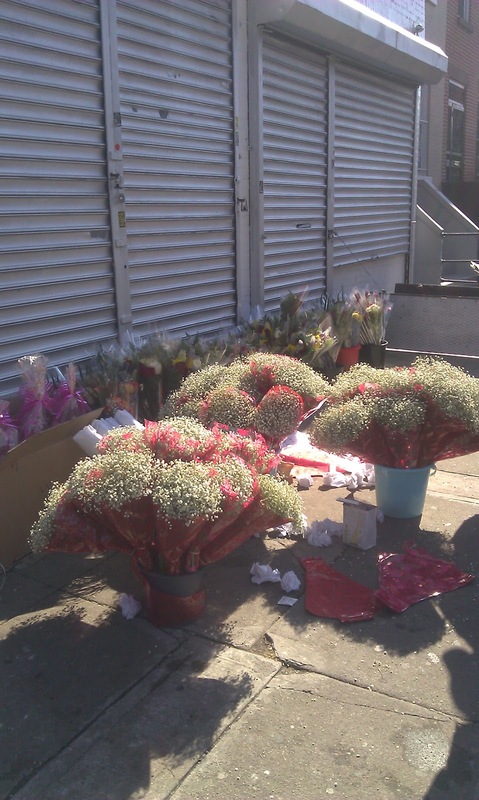 Wholesale flower guys were prepping rose bouquets out in front of the old Panamanian storefront church at Franklin and Dean this morning, and the Avenue was all a-flutter with flowers as I walked to the train. 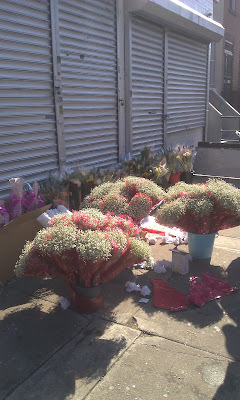 Happy Valentine's Day to all (even if it's a Hallmark Holiday, it's nice to see flowers in February). If you're looking for something to do tonight, punk band Big Ups is throwing a record release party with Flagland at Shea Stadium in East Williamsburg to celebrate their new split record. How is this Franklin-related? Well, they chose cover art from our little corner of Brooklyn to celebrate the fact that, as bands, they are "always friends." Awww. The Franklin Park Reading Series goes off in an hour, but you already knew that (and given how popular this event has become, the tables are probably packed already). Still, if you've got a thirst for great reads and $4 drafts, swing by Franklin Park tonight at 8pm for what's sure to be a great reading. 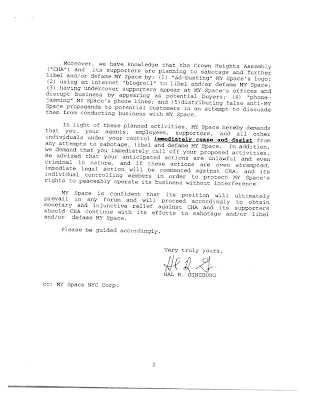 Hello Renegades! Hope you haven't missed us as much as we've missed all of you. We're really excited to be back from what we'll refer to as simply a very long December. We're really excited to start this whole thing up again, so as you've done such a good job of already, please bring friends, dates, strangers, dudes off the street, bosses, mommies, and roommates. We'll provide some top-notch Trader Joe's wine, but if that doesn't fly with your pallet, feel free to BYOB. "At some point Friday night, the arctic jet stream will drop down from Canada and intersect with the polar jet stream, which usually travels through the lower 48 states. Yikes. If there's one piece of advice I've ever taken to heart, it's "don't cross the streams." 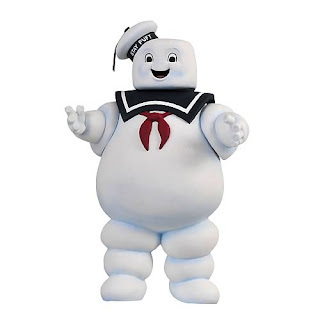 The weather channel should clearly have called this winter storm "Stay-Puft." - Valentine's Day is fast approaching! 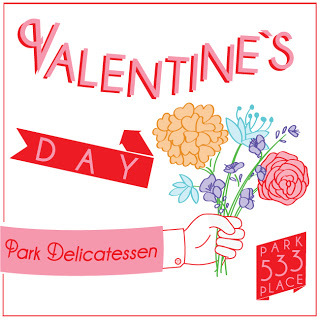 Park Delicatessen, our local florist, has you covered. 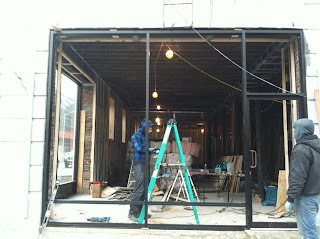 - Work continues at Pacific and Franklin, where a corner storefront and its next-door neighbor are being gut renovated. They haven't been rented yet, so no word on what will be coming in. - My Brooklyn wrapped up another successful run at reRun Theater last week, and has announced a third series of screenings in March. This film has legs - the Voice was impressed by the impression it's making on those who've seen it. - Niman Ranch founder Paul Willis, whose products help make TasteBuds sandwiches so tasty, will be stopping by their shop to talk about his business on Monday, February 18, from 12-3pm. - The Brooklyn Bureau has a sobering article about how federal cuts are hurting HIV/AIDS work in Brooklyn, where the disease is spreading more rapidly than anywhere else in the city. - From the folks at Little Zelda: Sunday at 7:30 p.m. is the inaugural weekly gathering of The Life and Times of David Foster Wallace, a group devoted to reading all the author's works, and some works about the man. Meeting at Little Zelda. - And on Monday night, it's time once again for the Franklin Park Reading Series, 8pm (with $4 pints) at Franklin Park. 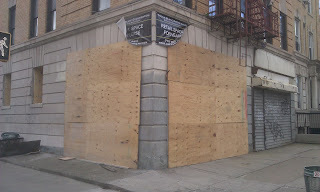 These storefronts at Pacific Street and Franklin Avenue, which have been shuttered since ILFA moved in nearly five years ago, are getting a makeover inside and out (there were two guys out sandblasting the stonework to clean it this morning). No word yet on if they've been rented and who might be moving in, though brief glances inside suggest that they'll be undergoing gut renovations (the corner space appeared to have been a dark, divey bar or sports club a few decades back). While changes on Franklin have centered on the five-ish blocks immediately north of Eastern Parkway (from Bob & Betty's to the Gueros-Rosco's-Mayfield cluster), new construction and new businesses now seem to be moving north toward Atlantic, perhaps in response to the 1000 Dean Street development (the bodega across the street had just renovated when it was hit by an electrical fire in November). Readers, any idea what might be coming in (or what you'd want to see)? - Speaking of changes along the Avenue, DNAInfo has a report about the efforts of the 71st Precinct to fight crime through their own Impact Zone south of Eastern Parkway. - It's Target First Saturday at the Brooklyn Museum tomorrow. This month's theme is "African Innovations" in honor of Black History Month. 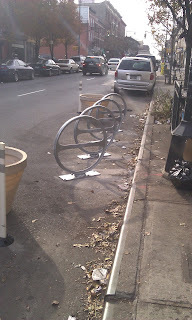 - The Brooklyn Paper weighed in this week on the bike corral debate on Franklin. - The Jewish Week had an article and review about local writer Rebecca Dana's memoir of living in Crown Heights, The Jujitsu Rabbi and the Goddess Blonde, out as of last week. - For amateur or professional drinkers, the Brokelyn Beer Book is out as of today. 30 beers for 30 bucks, all around Brooklyn. Not too shabby. - It's three weeks from now, but a good one for the calendar: on Thursday, February 21st, Five Myles will host a benefit for the Brooklyn Community Foundation, Brooklyn Love.